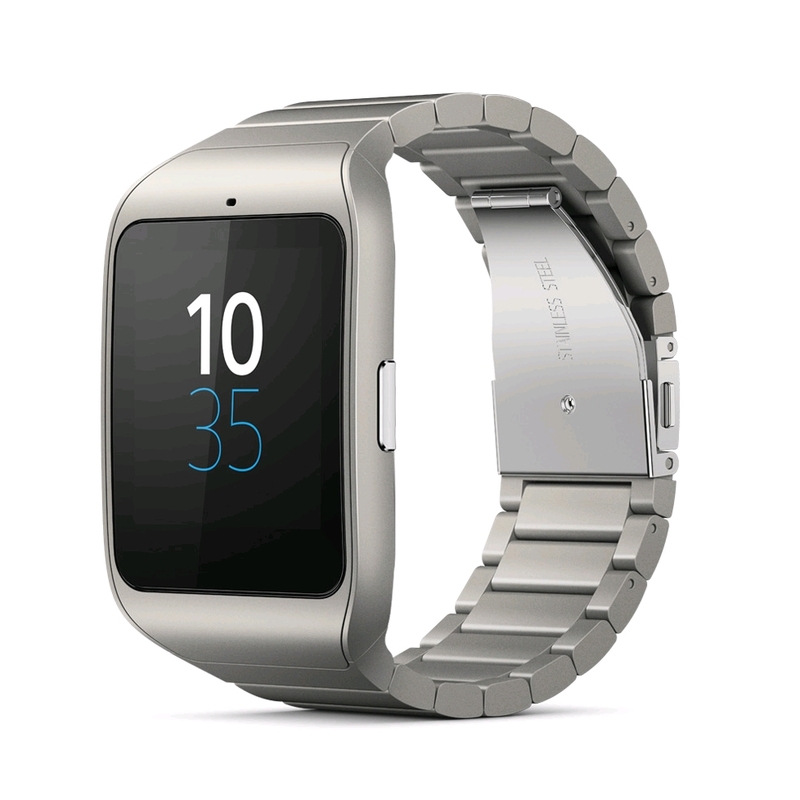 Talk to it: Tell SmartWatch 3 SWR50 what you want and it will do it. Search. Command. Find. Notifications: With SmartWatch 3 SWR50 you never miss a thing. When message or other notification comes in, you feel it. At a glance: Android™ Wear is what you need at a glance. What happens on your phone is there on your wrist. Impressive standalone functions Even without your smartphone, SmartWatch 3 SWR50 is a fun and useful accessory. You can fill it with music to take with you if you’re going for a run. When you’re out, you can track your activity and movements as well as sync with your Lifelog when you come home. Whatever your lifestyle SmartWatch 3 SWR50 can be made to suit it. You can choose from a range of wrist straps – formal, sophisticated, casual, vibrant colours and fitness style, all made from the finest materials. Designed to perform and impress, this smartphone watch delivers a groundbreaking combination of technology and style. Downloadable apps let you customise your SmartWatch 3 SWR50 and how you use it. Contextually aware and smart Android Wear gives you useful information at a glance and responds to your voice. It feeds you relevant and specific information as you move. At a glance, you can view tiny snippets of useful information on the go. It could be flight information, tips based on your interests, or messages of any kind. User input is seldom necessary. However, if you need to interact with Android Wear, voice input is the best and easiest way. A SmartWatch powered by Android™ Wear is forever expandable. As developers create new ways for you to customise and enjoy the Android Wear experience, SmartWatch 3 SWR50 becomes increasingly personalised and yours. Waterproof and has notifications and many are smart and can be dealt with on the watch without needing the phone. Android wear is amazing. 請問還有把握調到貨嗎？ Can you make sure the availability of the stock?